Stop the car! This home has been so beautifully updated it is magazine worthy! This stunning 3 bedroom 2 bathroom sits gently on a tree lined street and exudes the feel of home. As you step into the entryway you are greeted by a soft calmness and natural lighting. 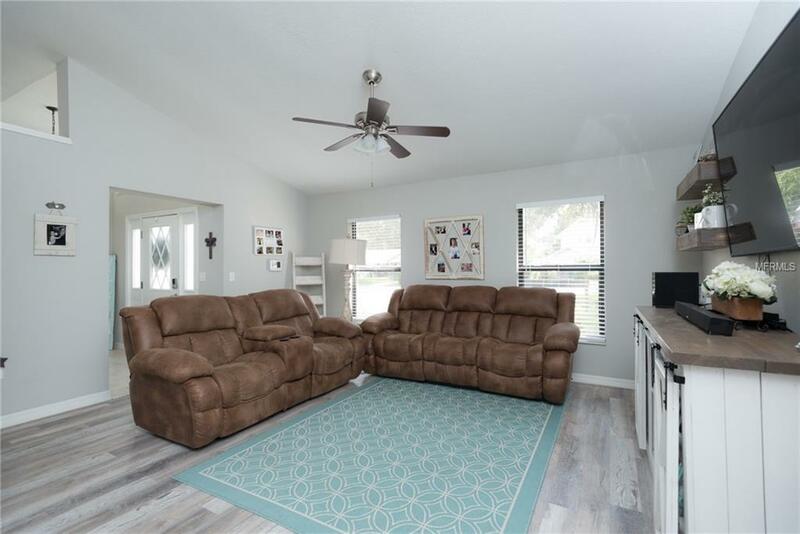 Presented with luxury waterproof laminate and tile flooring you head into the open and roomy living room area. There you will find vaulted ceilings and an additional space that can be utilized for a multitude of things. 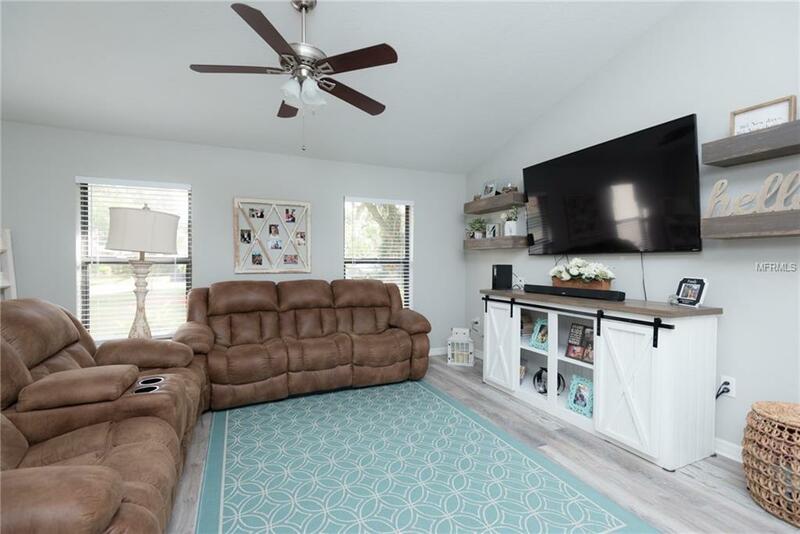 The kitchen has bright and crisp cabinets equipped with the soft close feature, granite counter tops, a breakfast bar, and stainless steel appliances. Imagine hosting in this jaw dropping dining area as you light a roaring fire in the wood burning fireplace. Head out back to relax and enjoy the sound of nature on your sprawling screened in lanai. 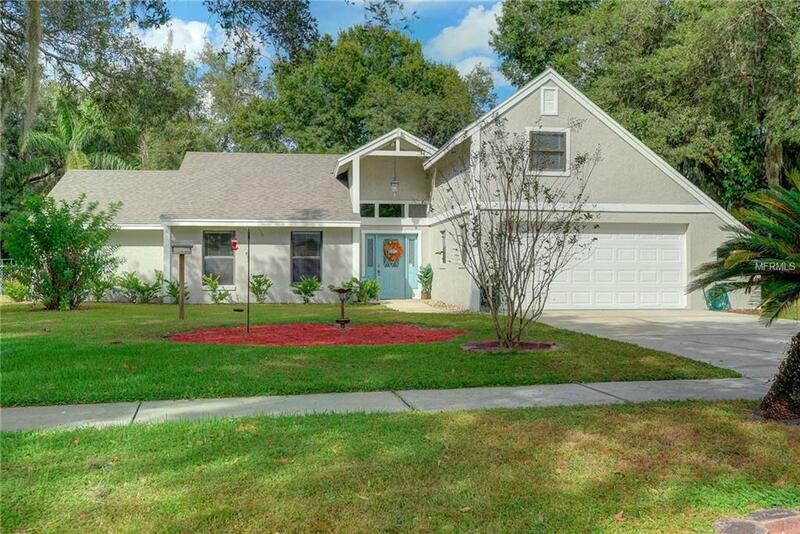 This charming home has something for everyone. 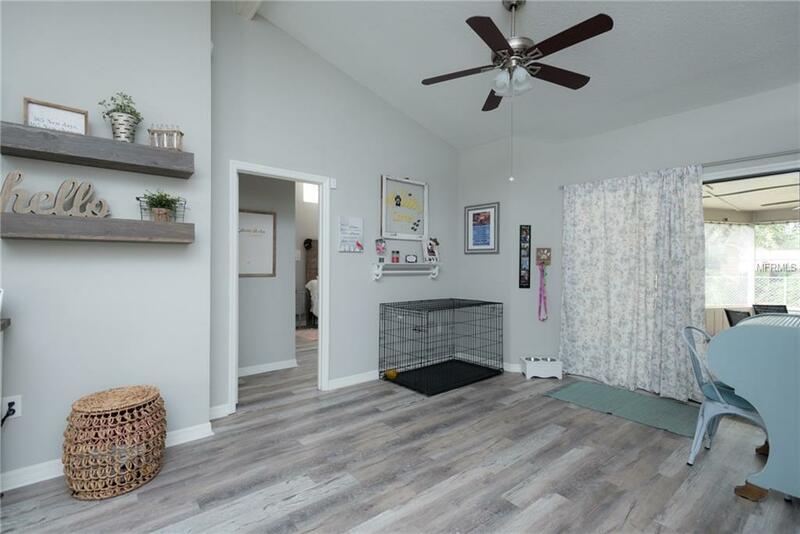 Don't dare miss your opportunity to snag this adorable property. Listing provided courtesy of Sparrow Key Realty Inc.